When tragedy strikes, you can count on Rainbow International® for professional property cleanup, restoration and reconstruction. If your property sustains damage, we’re dedicated to making it whole again. Our expert staff is qualified to perform complete, quick, and safe cleaning and damage remediation at any type of dwelling, home, apartment building, business, lab or property. Call Rainbow International for expert assistance in the aftermath of fire, flood, animal infestations, toxic chemical contamination, drug lab explosions or biological waste hazards, including blood and airborne pathogens at trauma sites or crime scenes. If you’re faced with a natural disaster, abandoned property or crime location riddled with mold, smoke, water or hazardous materials, you may feel completely overwhelmed. When you have hazmat or biohazard situations, filled with infectious or dangerous debris, let the professionals take over. Call Rainbow International. We're ready to conduct an emergency cleanup, then restore and reconstruct your area safely and effectively. Has damage to your home by water, mold, fire or smoke taken you by surprise? Don’t let the situation overwhelm you and result in the unintended progression of damage. Trust in the professionals at Rainbow International. Our skillful technicians have the experience and equipment you need to restore your home or business following disaster. Are odors and stains wearing on your reputation? With the professionals at Rainbow International, you can be redeemed. 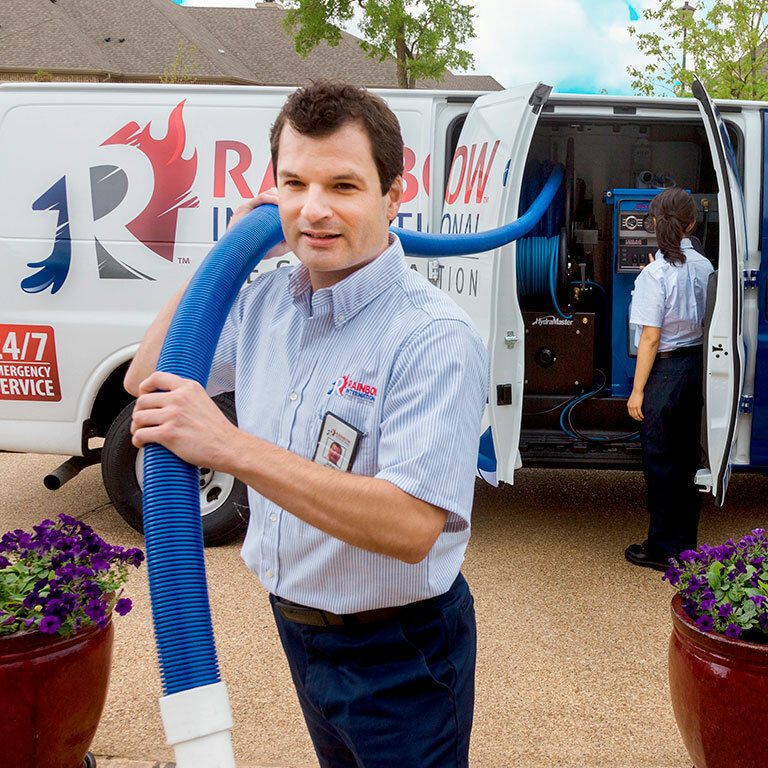 Our team has what it takes to tackle even the toughest jobs, from odors to overspray and ducts to drapes. Our team of professionals is ready to tackle these jobs and put you back on top. Don’t let reconstruction deconstruct your life. From board ups and tarp overs to complete restoration projects, we can help you get it together - fast. Call us today for a free estimate on your full-service reconstruction needs.